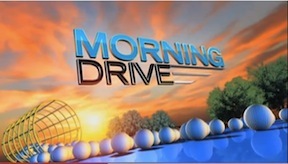 About this new show on the Golf Channel called Morning Drive. Here is an example of the Golf Channel getting it right in my opinion. The live show debuted on January 3rd and airs from 7-9 A.M. Hosting the show are former ESPN commentator Erik Kuselias and former Mad Dog Radio (Sirius/XM) host Gary Williams. There is a definite ESPN feel to the show, but it works. Popular music going into and coming from commercial breaks, sporadic chatter of football and other pop culture topics, and celebrity guests liven up the show and leave a different feel than typical Golf Channel shows. To my liking, since Kuselias was such a staple on Mike & Mike (filling in for Mike Greenberg), I felt even more content in watching Morning Drive. I may leave it on the Golf Channel for a while. One of the things we suffer through during the holidays is the time off. Not our own time off…that of our dearest sports radio hosts of course! It is quite painful at times to listen to their “replacements.” However, as I was listening to Doug Gottlieb cover for Mike and Mike one day last week, I was reminded of a few points. First of all, every sports journalist takes time from their focus to enjoy the holidays, thus, I am also justified as a mere sports blogger (this is my hobby and not profession at that), in taking a break. Second, and more relevant, I took a sharp left down memory lane. During the broadcast there was a mention of a Notre Dame men’s basketball game the night prior that triggered the thought of former Notre Dame men’s basketball player Ryan Humphrey. He is the first player I think of when I think of the program. Let me explain further. Humphrey was a highly touted recruit for the University of Oklahoma in 1997 out of Booker T. Washington High School in Tulsa. This guy was seriously decorated with awards in high school: McDonald’s and Parade All-American and finalist for USA Gatorade Player of the Year, to name a few. However, after earning little playing time at OU, Humphrey transferred to Notre Dame after his sophomore year. There are some reports of health issues contributing to the lack of court-time, however, his success at Notre Dame leaves one speculating. I was personally saddened by the loss of Ryan Humphrey from the OU squad. Not only was he a super nice guy, I grew up in Oklahoma so I knew of his history and potential. However, sometimes you need a fresh start…and a fair chance. After being drafted in 2002 by the Utah Jazz and a somewhat short NBA career, Humphrey now plays ball in Europe. Going further down this path, I thought back to Doug Gottlieb. When I think of Oklahoma State basketball I almost immediately think of Doug Gottlieb. The Californian was an integral part of the success that OSU had during the 2000 season and trip to the Elite Eight. 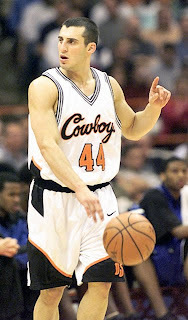 Gottlieb was the 1998 Big 12 Newcomer of the Year. Have any idea why he came in the first place? Notre Dame decided Gottlieb should move on after the starting Irish point-guard stole credit cards from a roommate and ran up a $900 bill. He found his fresh start and identity (that he claimed legally I might add) with the Cowboys. Do Sooner fans think of Ryan Humphrey as one of their greats? No. Do Notre Dame fans even remember that Doug Gottlieb played ball for the Irish? No. I can also personally speak of two very talented and exciting high school basketball stars that left the University of Oklahoma women’s program due to false promises of playing time and contribution not realized. Sometimes that just happens…we don’t always see or hear the full story and excuses. However, more often than not, it works out in the student athlete’s favor to make the change. So here’s to new beginnings…looking forward to the fresh starts and changes in 2011…as long as they don’t involve any of my favorite athletes making a change to another team!